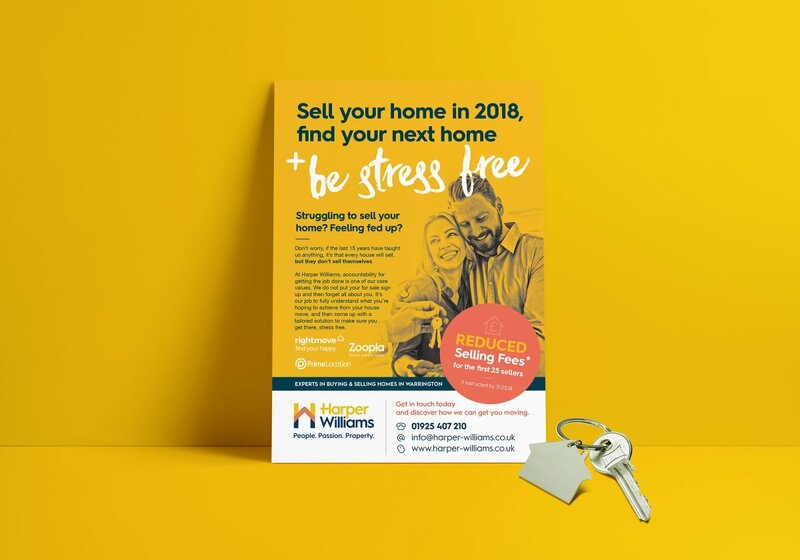 Harper Williams, a new entrant into the estate agency sector, launched with a view to creating a standard that customers could – and should – expect from a modern estate agency; as a result, opening doors for customers wanting unrivalled customer service. 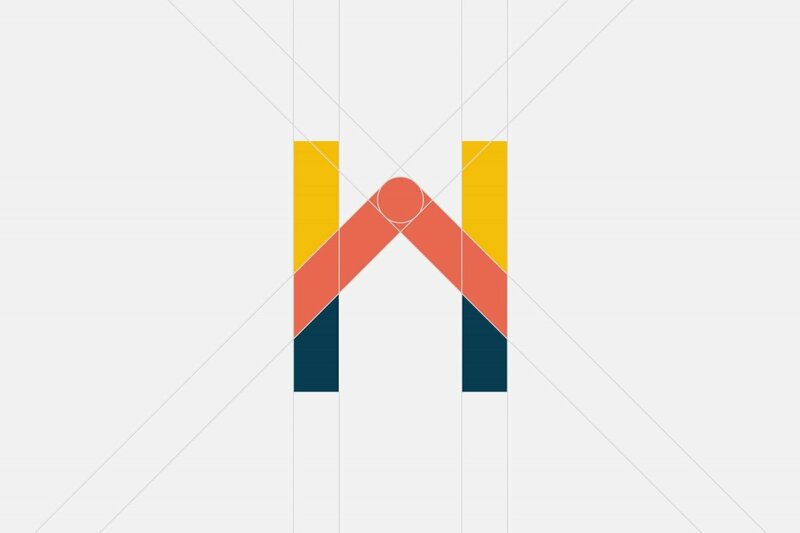 With a shared ethos of putting customers first, we developed a winning proposal that outlined to the new business owner our branding recommendations and our rationale for striking the balance between communicating the ambitions of the new business with the traditional values of customer satisfaction and customer care. 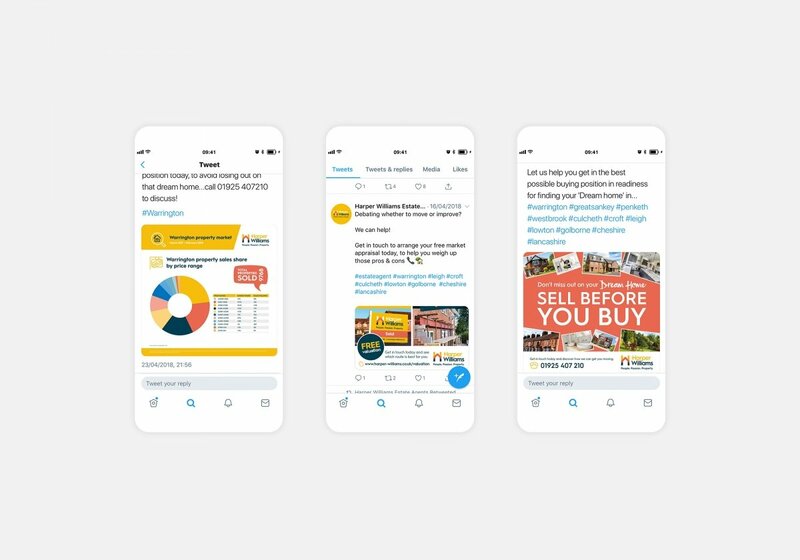 Our approach was underpinned by desk research and a focus group held with stakeholders and customers, which would influence not only our branding development but give the new business owner a greater insight into their target market. Based upon this insight, we created a brand that combined traditional values with the dynamism associated with a new business. 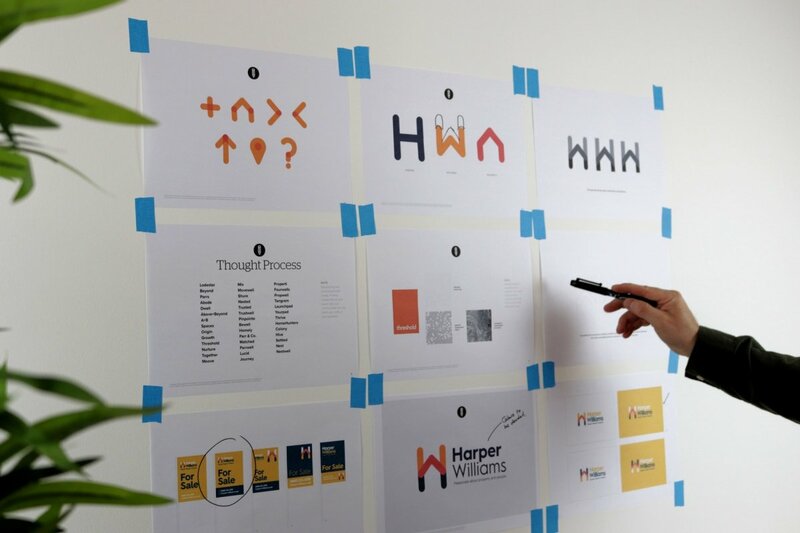 Central to communicating these brand values was the development of a logomark that combined the H+W+Home icon with a complementing bespoke typeface. The values of heritage and trust were embedded throughout the design to provide a sense of established credibility in a very crowded estate agent market, giving new customers confidence in the new business. 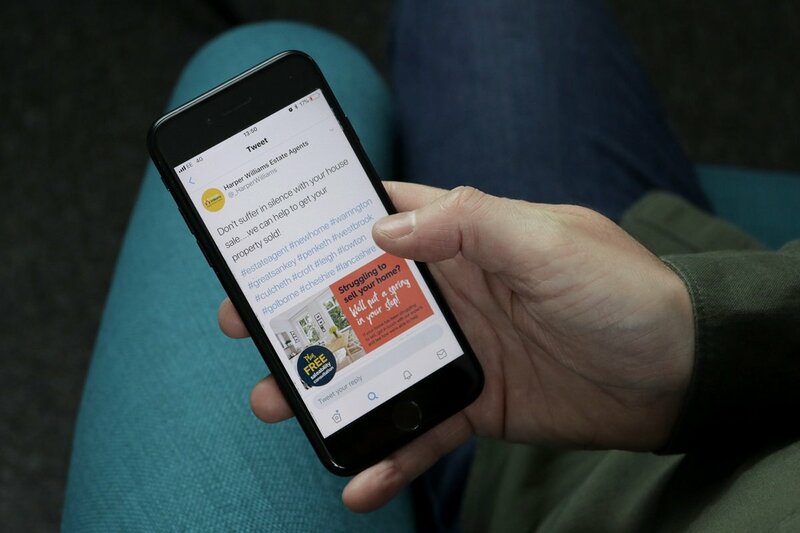 The business launched with a brand and marketing roll-out consisted of stationery, leaflets, sale boards, vehicle graphics, print advertising, social graphics. 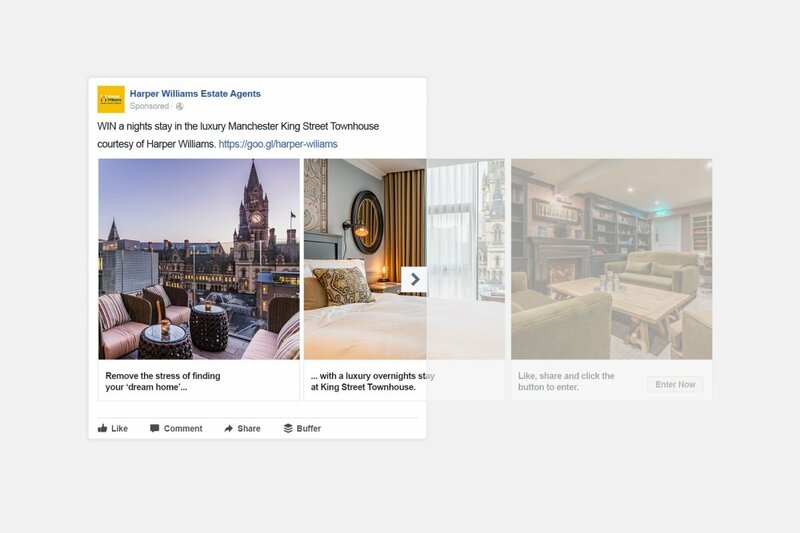 This launch was supported by a targeted Facebook advertising campaign that enabled the business to successfully break into the estate agent market on a localised level. 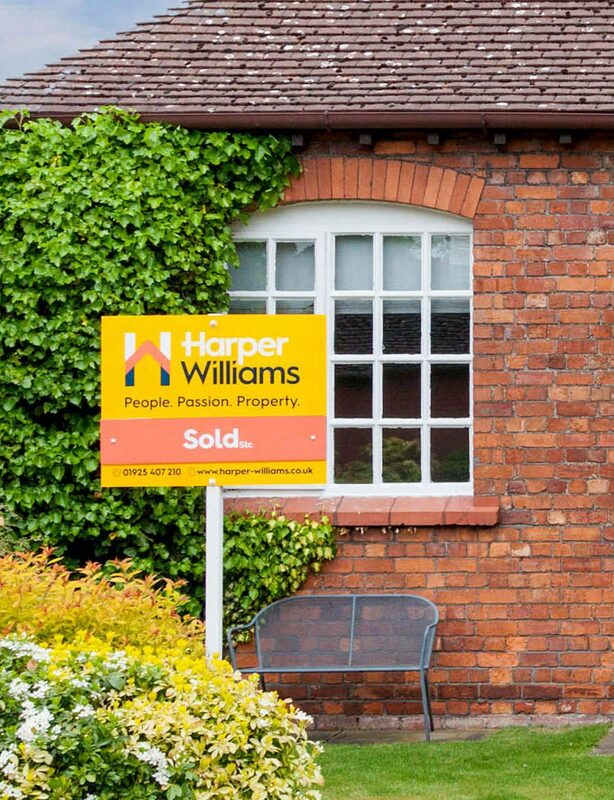 Following this successful brand launch, Harper Williams has established itself in the estate agent market by gaining more than 23,000 website page views and selling property with a combined value of more than £6,600,000 within months of launching. 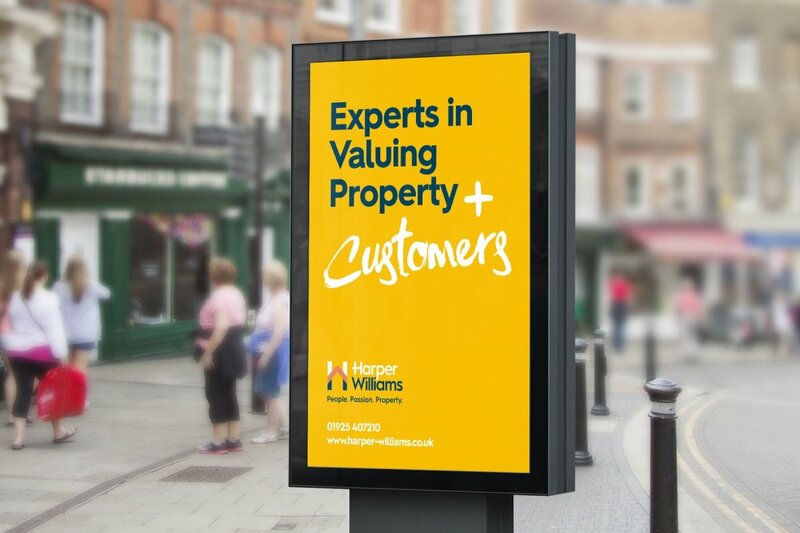 Now, the brand has adapted to support Harper Williams’ entry into the commercial property market - giving the business an identity as strong as its ambitions. 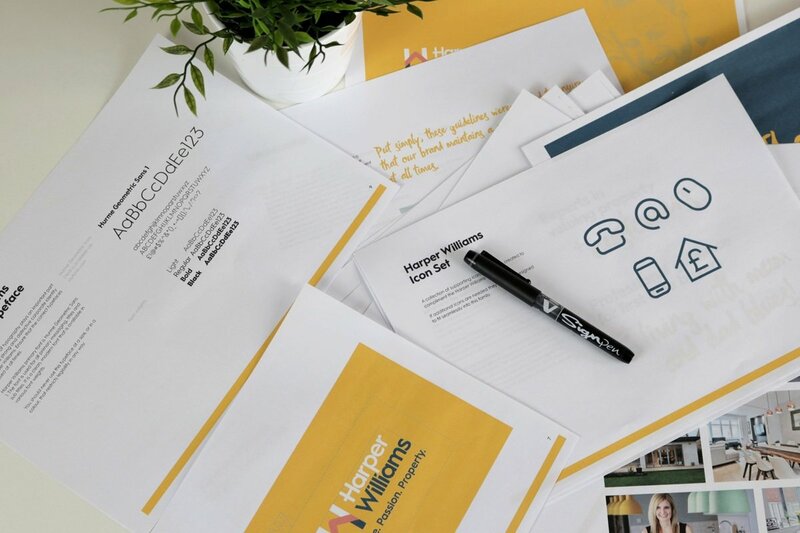 If you're looking to increase leads for valuations and sales, or simply gain greater exposure for your business, get in touch today and let's achieve your vision.